Score some FREE food at Boston Market. 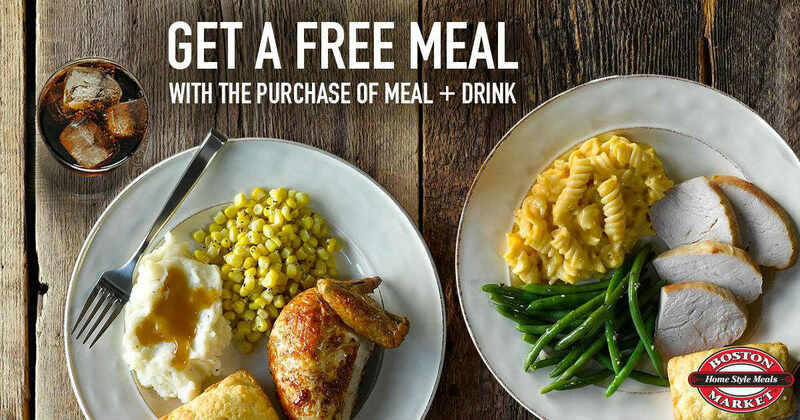 Score a FREE Boston Market meal when you buy one with Coupon. Valid through March 5, 2019. Just buy a meal and drink and get your 2nd meal FREE. Use code online 31715 or print and use instore. Buy one meal and a drink and get one meal totally free. Limit one coupon per person.